Learn about local foods, who we are, and what we do. Taste the difference nutritious food makes by supporting local farms. Get fresh food at our markets and events. Check out our Harvest Calendar, Local Food Guide, Farmers’ Market Map and more. Your Connection to the Freshest Tastiest Food in the Greater Lehigh Valley. Connect to producers and products. Learn how we also assist with food insecurity, educate students, facilitate wholesale purchasing, and impact our local economy in the Greater Lehigh Valley. Agritourism is where agriculture and tourism intersect, as farms and vineyards invite the public onto their property to experience entertainment, education, relaxation, outdoor adventures, shopping and dining. See how BFBLGLV is helping to build the Lehigh Valley local food economy by connecting consumers, buyers and local farmers. Looking for a Hard Copy? Grab a free copy of the Local Foods Guide at our Producer-Only Farmers Markets and other BFBLGLV partners, and at Discover Lehigh Valley visitor centers. 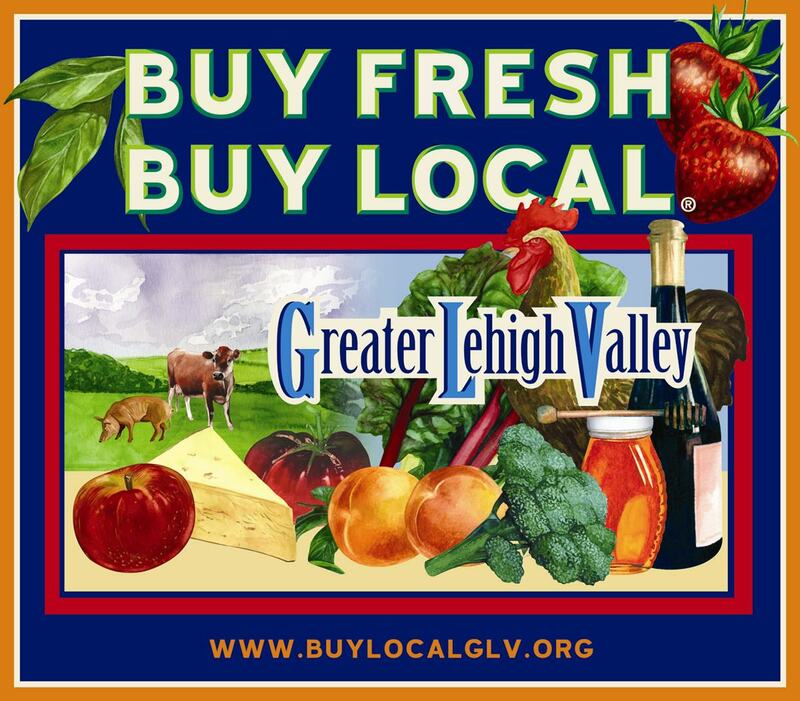 Buy Fresh Buy Local of the Greater Lehigh Valley is a program of the Nurture Nature Center.